Having over 20 years’ experience in the pet services industry we have seen and done it all as far as daycare in Chicago is concerned. We know what makes your dog happy and how to send them home safe, healthy and tired from a day of play! Our staff is the best around and we ensure your dog has the most of their attention by maintaining a high staff to dog ratio. It doesn’t matter when you drop off for daycare either because we have the space and staff ready to welcome your dog for one hour or all day. Our staff is also trained to actively monitor all the dogs in our care not just for potential unsafe play but also for physical indications of illness and stress that need to be passed along to owners as part of their dog’s health care. We want to be a partner in your dog’s health and not just a sitter for the say. Our dog daycare center has over 10,000 square feet of space for your dog both indoor and out. We also have the only outdoor heated pool in the area. At over 15,000 gallons this is no flimsy plastic pool but a place your dog can swim. Our indoor spaces are designed for safe and healthy play. Our state of the art facility was purposely built for a dog’s health and safety from the ground up. Our five air filtration systems eliminate air exchange between the different areas and our floors and walls are all sealed concrete and masonry to eliminate absorption and maximize sanitation. Our entire facility is sanitized twice daily, even the outside, to ensure the cleanest possible environment for your dog. We know all dogs are not the same and we don’t simply judge dogs by size alone. Our expert staff takes the time to get to know your dog and make sure they get into the play group that is best for them. Again, with five different areas to choose from you can be sure your dog will have a great time no matter if they are a wall flower or a party animal. 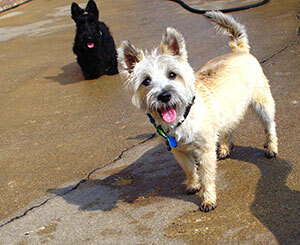 If your dog needs a little “special” daycare attention we can do that too. Maybe your dog thinks they’re a human, and just enjoys the company of “their own kind”. Or maybe they have seen many summers go by and just need to take it easy. Either way we can help meet your dog’s unique needs. Just call and let us know how we can help. Other daycares will tell you your dog is out all day so that is better. This is just not true. 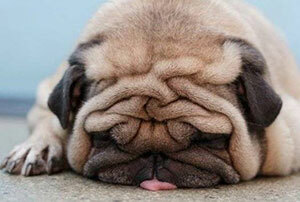 The average dog actually needs between 12 and 14 hours a day of sleep. Imagine running around doing your favorite activity for over eight hours. You might get a little tired…except there is no place to really totally unwind. Here we have our dogs get a real nap time between 11:00 AM and 2:00 PM so they can unwind a little, get a drink from a personal bowl and even eat some lunch if required. We do all of this not because we have to but because we learned from our years of experience that it is the right way to treat all the dogs in our care. We are open for daycare Monday – Saturday and offer day-boarding (no group play) on Sundays. We offer flexible pet taxi transportation for daycare dogs! Please call for pricing! I am very impressed with the professionalism and the communication that PCP provides. Charlie used to come just for grooming, however when I saw all of the activities that he could do at daycare I was quick to try it out. I’m so glad that I did! Charlie loved every minute of it and made a ton of memories (he told me :)). I love that the dogs are sent outside to use the bathroom. This can be hard to break after going to other daycares that don’t offer outside relief. I’m so happy with the experience and we will be back! ~ Ashley B.